“L’Uomo e il Mare” is a rental company which owns boats, based in Positano, on the Amalfi Coast. The members come from the shipping sector, a sector in which they have experience of over thirty years of services dedicated to tourism and leisure boating on the Amalfi Coast. “L’Uomo e il Mare” offers the rental of motor boats, typical Sorrento Gozzo boats and rubber boats of the best production houses. 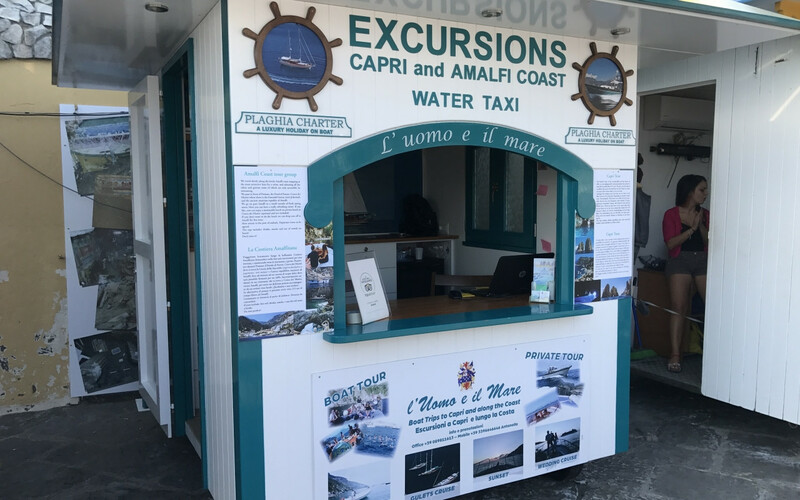 With our excursions leaving from Positano, our customers will visit the beautiful pearls of the Amalfi Coast, from Positano to Furore, from Amalfi to Maiori but also the islands of the Gulf of Naples, Capri, the blue island and the Sorrento coast. The fleet of “L’Uomo e il Mare” is made up of 10 boats, used for organised excursions or even for private charters.